DuoFLEX Flexible MRI Coil Suites replace multiple costly coils with one DuoFLEX Coil Suite and deliver definitive diagnosis on sub-optimal anatomy. DuoFLEX Flexible MRI Coil Suites replace multiple costly coils with one DuoFLEX Coil Suite and deliver definitive diagnosis on sub-optimal anatomy. DuoFLEX Flexible MRI Coil Suites offer complete flexibility without compromise. The versatility of the DuoFLEX Suite’s multiple sized MRI coils offer the user the ability to place the right size coil over the anatomy of interest to ensure maximum signal-to-noise for the field of view being imaged. The 10 cm coils allow for high resolution small parts imaging. Image a variety of anatomy from fingers to toes with ease of patient positioning, all while achieving high image quality. The 24 cm coils can be utilized with larger musculoskeletal parts, imaging those hard-to-fit in a rigid coil shoulder and knees. 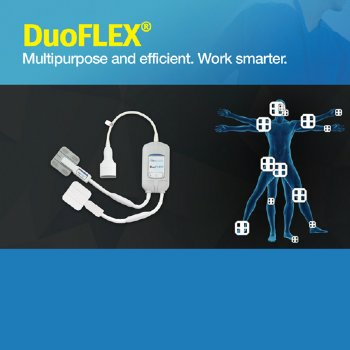 With the unique design of DuoFLEX the user has the ability to connect a 10cm and a 24cm coil together for even more flexibility in those difficult to image areas. 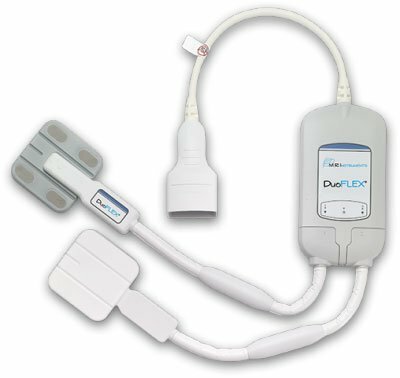 The versatility and improved signal-to-noise offered by DuoFLEX makes coil placement easy and makes image quality concerns in those difficult to image areas a thing of the past. DuoFLEX has the capabilities to image more than just musculoskeletal concerns, including use for orbits, TMJ, prostate, and much more. Almost anything you can envision DuoFLEX can image. The DuoFLEX Coil Suite also supports and accommodates niche application coils. The Interventional Coil offers a rectangular, single-channel design with a large internal opening for ultimate flexibility when used for invasive MR procedures. The large opening of the Interventional MRI Coil allows easy access for interventional procedures while providing high signal-to-noise and image quality. The loop coil can be used independently or can be combined with the DuoFLEX Coils for increased SNR. The lightweight Interventional Coil offers an outer cover, which can be reused or disposed of when contaminated. This coil is a must-have for the newest wave of MR procedures. Replace multiple costly coils with one DuoFLEX Coil Suite. DuoFLEX extends the life of your MRI equipment, increases productivity, and delivers a quantifiable ROI. You will measurably – and cost effectively – improve efficiency and the standard of care for your patients. Spend less time between scans replacing and preparing different surface coils and produce more high-quality, diagnostic images. 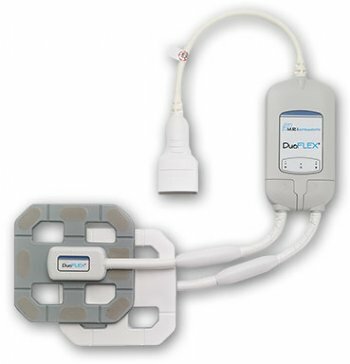 The DuoFLEX Coil Suite is flexible enough to scan any body part without causing patient discomfort. If you can imagine it, you can scan it. Deliver definitive diagnosis on sub-optimal anatomy and hard-to-scan patients. The DuoFLEX Coil Suite acquires the quality images you need time after time, without compromise. The most Flexible 8-channel coils available!